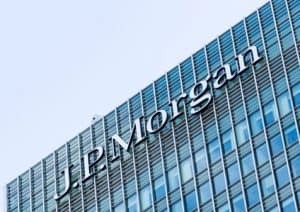 JP Morgan has gone live with LCH CDSClear as the first US investment bank to offer client clearing of credit default swaps (CDS) with the service. The London Stock Exchange Group’s clearinghouse LCH began offering client clearing in 2017 and it is the currently the only European central counterparty (CCP) to offer clearing of both European and US indices and single name constituents. Major European banks have significantly reduced their exposure to client clearing of derivatives over the past few years, due to regulatory requirements and capital pressures. The increased cost of running a clearing business has forced institutions to re-examine what clients they take on, and in some cases has limited their capacity to be competitive. Deutsche Bank, Barclays and Credit Suisse are among the larger investment banks to have pulled back from the business in recent years. “As the first US bank to offer CDSClear’s services to its clients, we’re delighted to welcome JP Morgan as our latest clearing broker. We’re focused on continuing to grow our reach and extending clearing broker access is an important part of this,” Frank Soussan, global head of CDSClear at LCH, concluded.